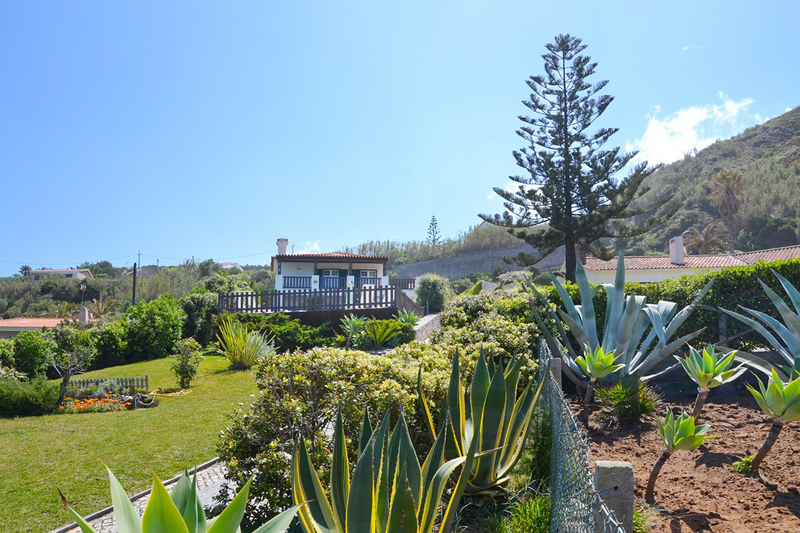 Villa Violante is a delightful luxury, yet homely, villa is situated on the Lisbon Coast and overlooks phenomenal views of the beach and horizon. This beachfront holiday home sleeps up to twelve people and is swept away in the heavenly countryside; whilst being surrounded by a variety of plants, trees and flowers. Immersed in lush greenery, Villa Violante boasts a quiet backdrop. Its distinct green hedges adorn the villa’s front pillars and the luscious grass spreads across the large garden. For those who wish to swim and sunbathe, the villa contains a private gated pool that is surrounded by sun lounges. 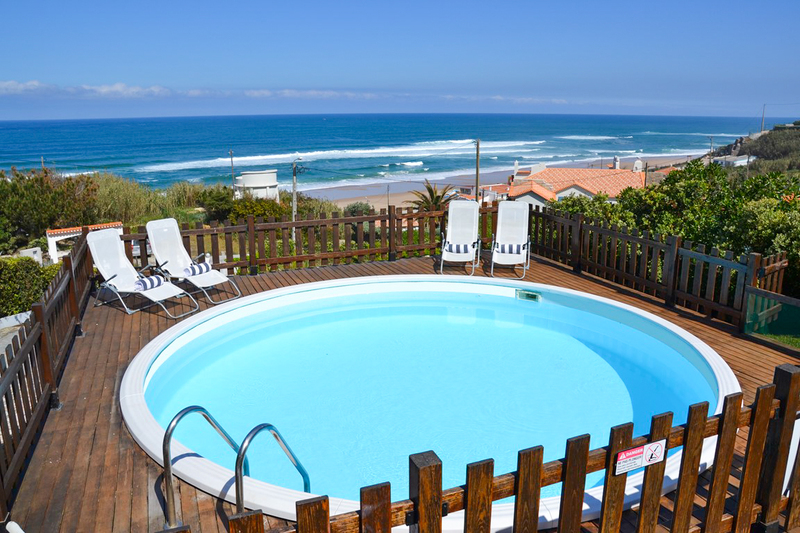 The pool lies in a perfect location for gazing over Portugal’s idyllic natural landscape. 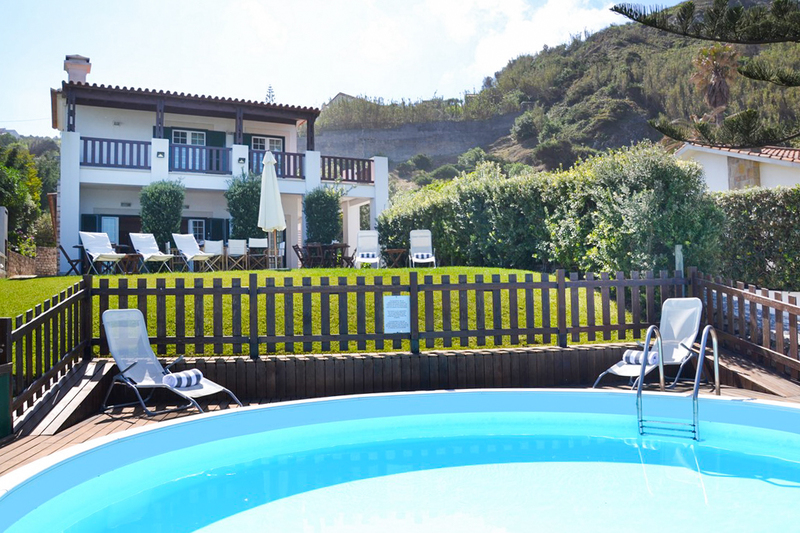 At the front of the villa, guests will find a wooden patio with an outdoor dining space and deckchairs. An ideal area for entertaining company, unwinding and having the ultimate relaxing experience in the sun. 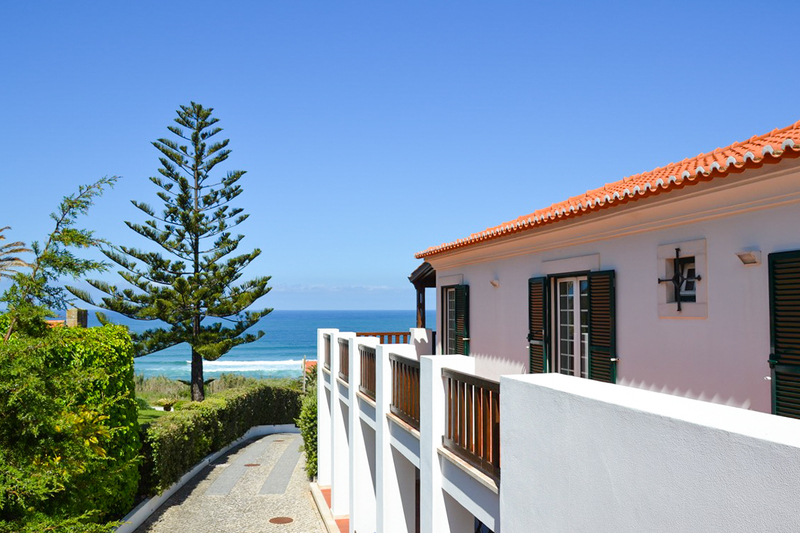 Guests can also take in the full extent of the Portuguese sunshine on the excellent balcony that is situated the second floor. 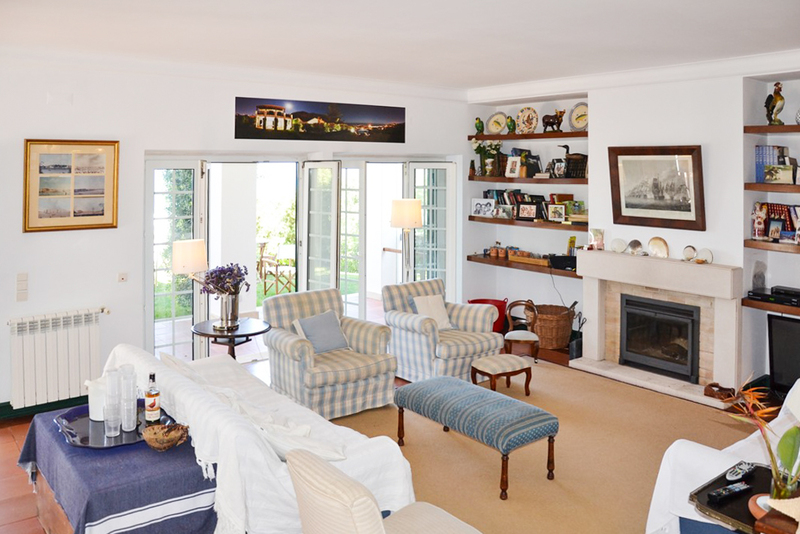 Inside, the living room comes complete with intriguing ornaments and artworks on the walls. The comfortable seating surrounds a cosy fireplace, in an open plan design that connects the dining room on a slightly raised level. 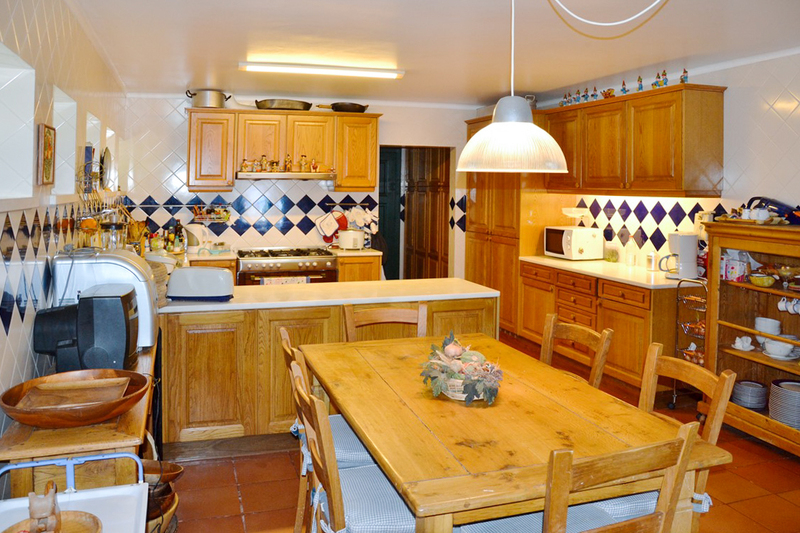 The fully equipped and bright kitchen is perfect for preparing and cooking meals, with enough space for multiple people to make & eat food, whilst socialising. A barbecue can also be found on the ground floor. 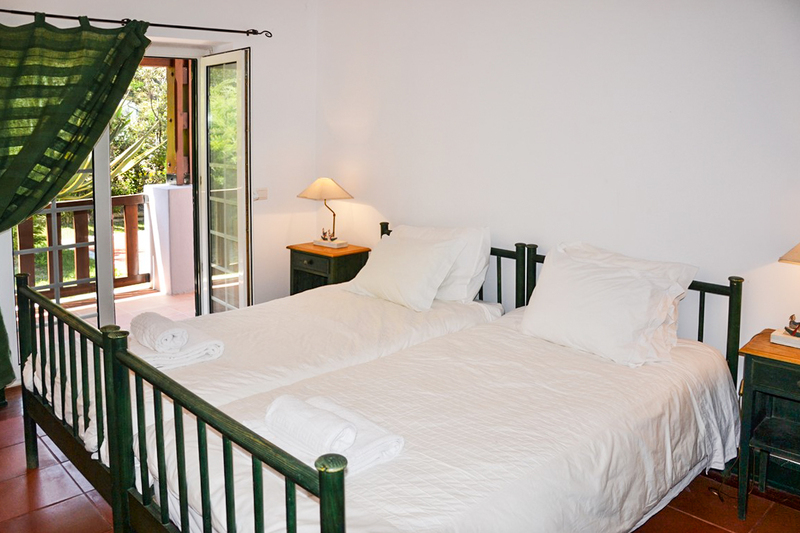 The bedrooms possess plenty of natural light and clean white walls, making for a peaceful and pleasant sleep during your stay. The en-suites are spacious and are all graced with shiny white tiles and white marble, presenting a beautiful and private place to get ready. 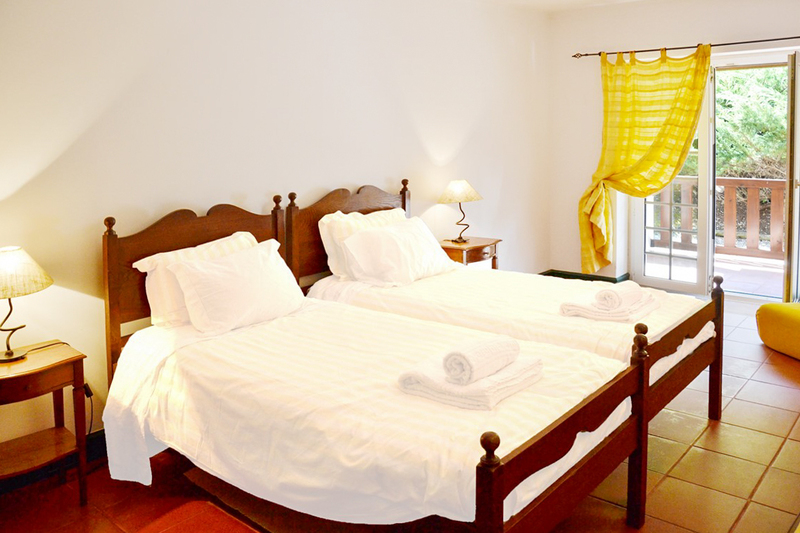 Villa Violante is a calm and blissful holiday home that is situated in the midst of the region’s glorious nature. 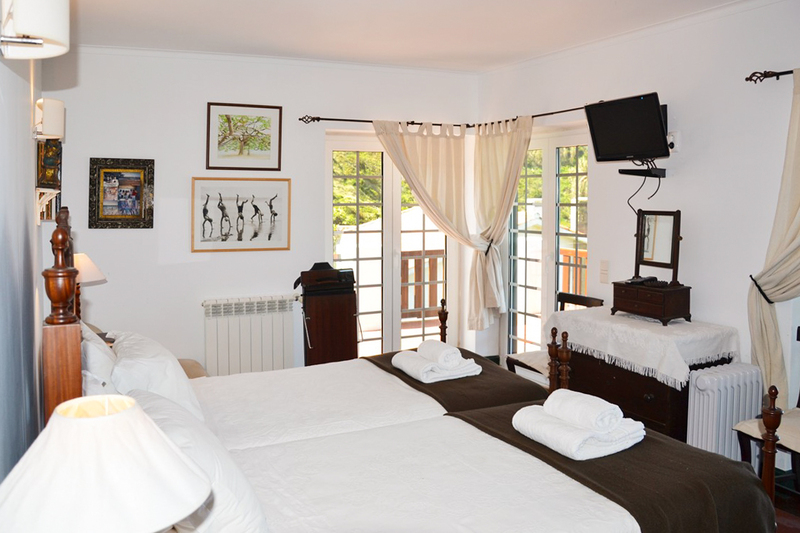 A marvellous stay for the whole family, couples or a large group of friends. 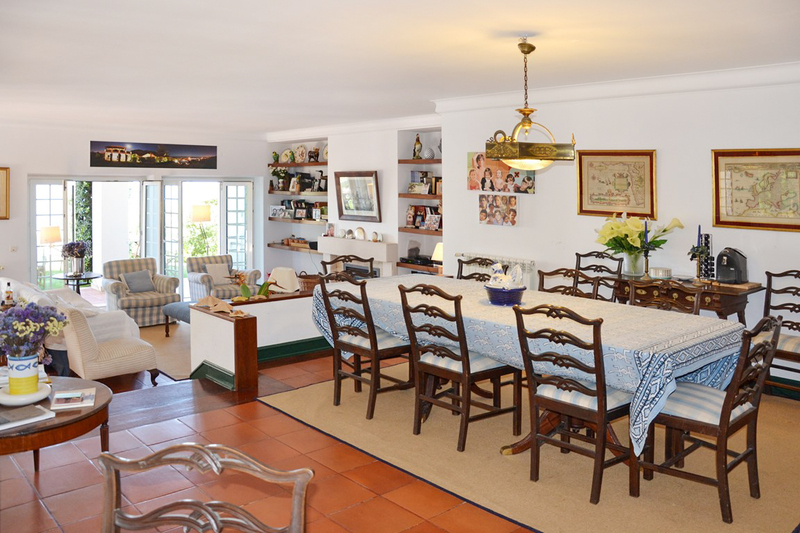 Villa Violante is located in a calm and quaint neighbourhood in Sintra Natural Park, one of thirteen Natural Parks of Portugal. The charming park is full of lots to do & see, as visitors can enjoy exceptional views of the medieval Castle of the Moors. Sintra Natural Park is home to the colourful and renowned Pena Palace, one of the Seven Wonders of Portugal, which is part of the country’s most famous and iconic buildings. The Palace was an ancient royal monastery that today is a Unesco World Heritage site that consists of unique architecture and vivid colours. 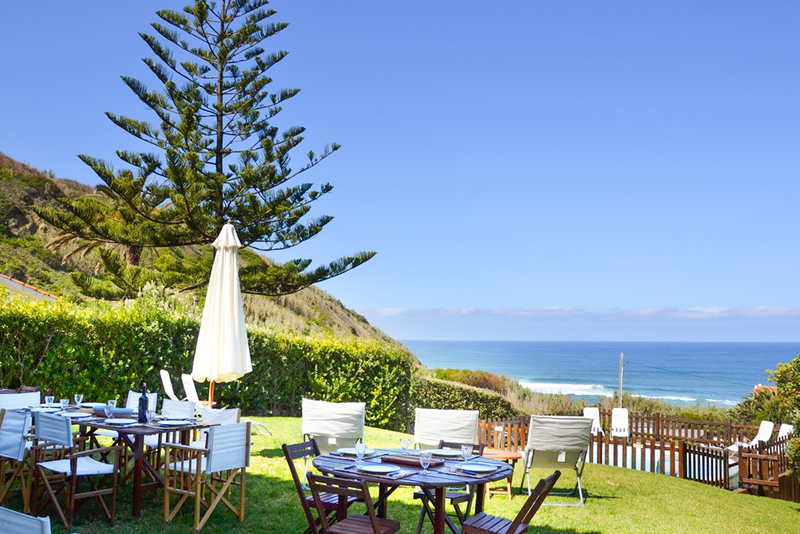 The exquisite headland that marks the most westerly point of mainland Europe, Cabo da Roca, is only 6km away from the villa. Visited by travellers from all over the world, who make the special journey to view the awe-inspiring cliffs that look over the Atlantic Ocean. Up until the 14th century, it was believed to be the edge of the world! Today, the site hosts a lighthouse, coffee shop and a gift shop, but the remarkable views are what is really worth going for. For holidaymakers looking to have some fun, Estoril, a famous beach resort is only 23km away from the villa and contains Europe’s largest casino, as well as hosting wonderful nightly stage shows with a range of bars and restaurants. There are six golf courses only 20 minutes away and a tennis court within 1km. 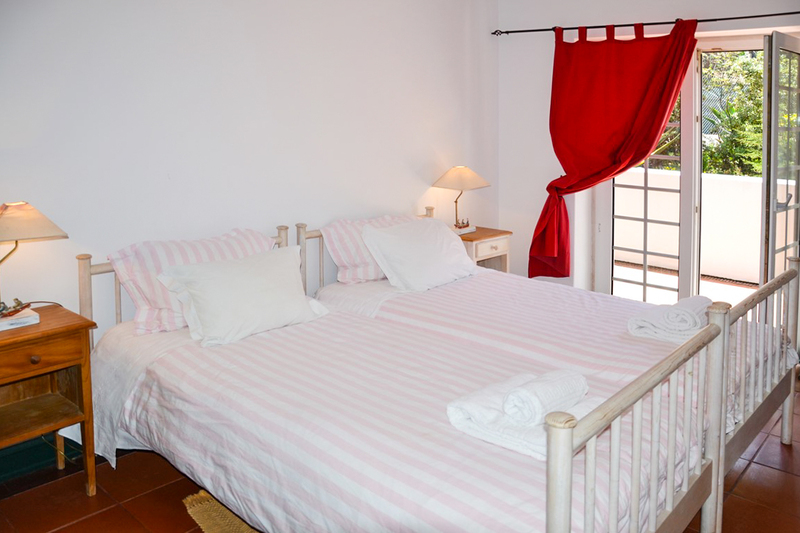 The villa is 45km from Lisbon’s centre and 42km from the airport.